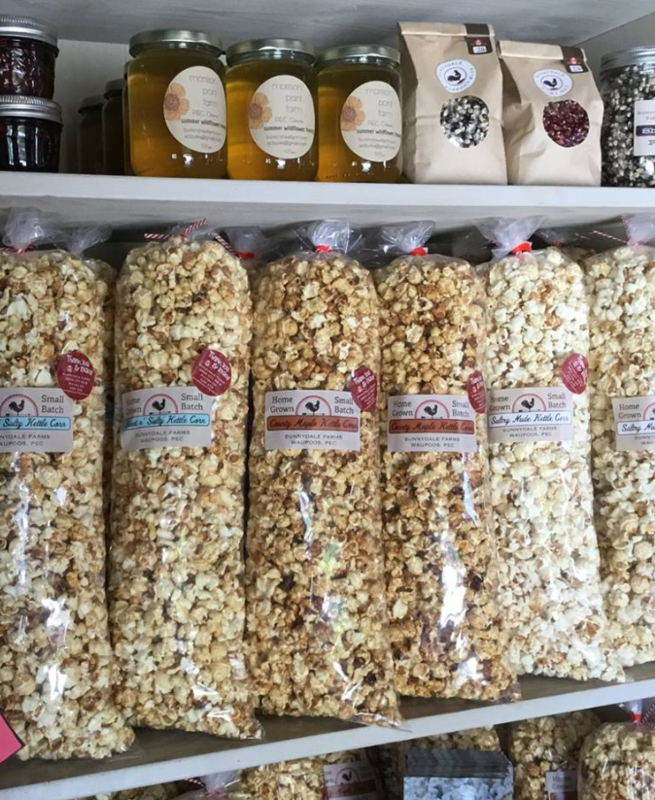 Our popcorn is grown, cleaned, kettle popped and packaged on our century farm in Prince Edward County. We hope you can taste the love! Our popcorn is also suitable for hot air poppers or old fashion stove top preparation. We also grow Black Oil Sunflower Seed for the birds, raise beef cattle, grow asparagus and have fresh eggs. Stop in at our farm shed, we are always open.